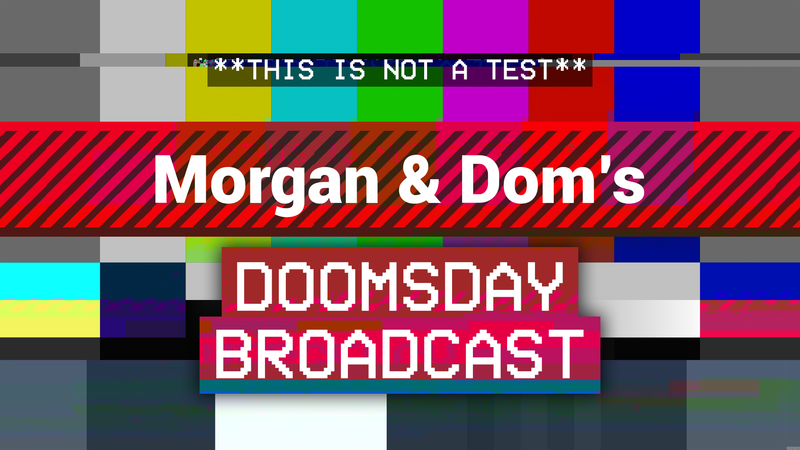 In the first episode of the new year, Morgan and Dom present an all-new show! In an all-new studio! With all-new segments. But really, not much has changed. This week, Morgan and Dom talk mornings, play a couple of games (that are coincidentally Japan-related), and talk about the future of the show. Plus, Dom thinks it’s time to inject some happy into the world. In their final episode of 2014, Morgan and Dom count down the top 10 moments from the previous 10 episodes. What a thrill! This weeks’ episode was riddled with technical issues, so we’ve only got the last segment, in which Morgan challenges Dom to guess song titles from song lyrics.